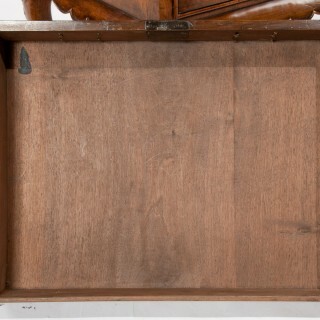 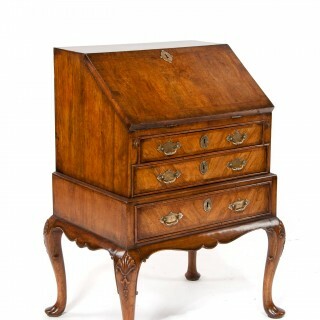 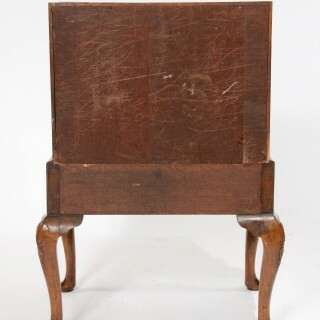 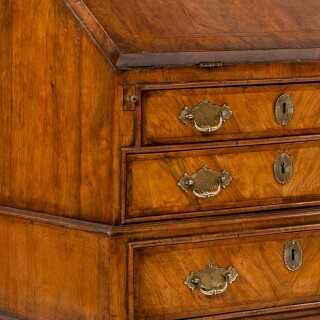 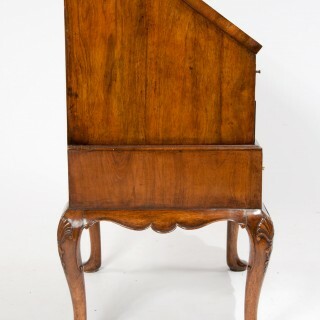 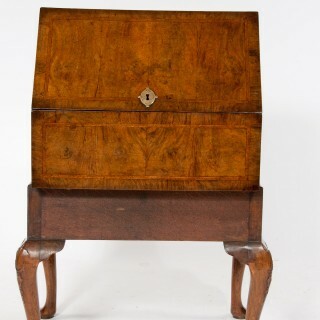 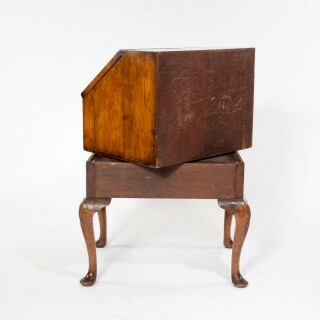 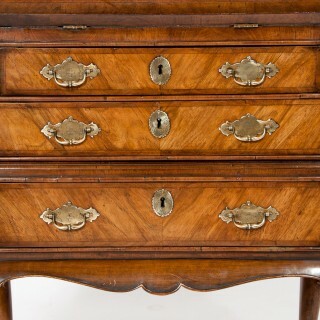 A very good quality walnut bureau on stand raised on cabriole legs with shell on the knee. 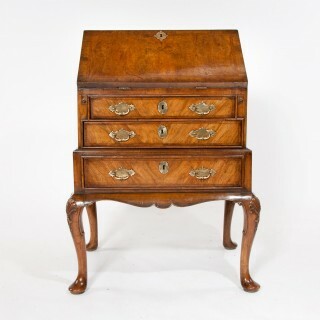 Dating to circa 1880-1900 this walnut bureau has been constructed in the same manner as a Queen Anne / Early Georgian bureau and the attention to detail is excellent. 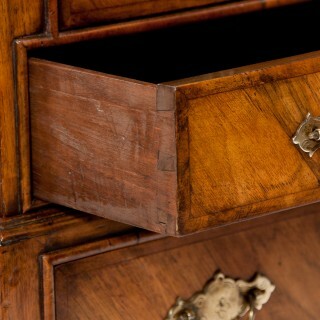 It’s carcass is solid oak having a walnut veneer with a herringbone inlay, the drawers have solid oak front to back linings with metal locks and solid brass engraved handles. 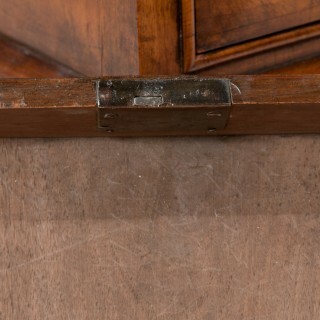 The top is also removable from the base again showing another sign of quality. 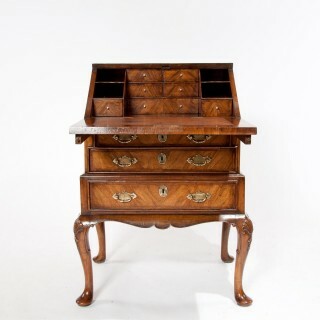 The fall front and top being bookmatch veneered with a crossbanded edge and herringbone inlay opening to reveal a leather writing surface and fitted seven drawers interior, each drawer being crossbanded, below which there are three graduated drawers with front to back oak linings brass engraved escutcheons and handles with metal locks. 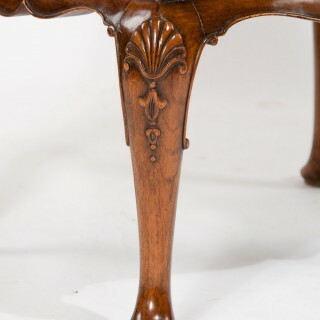 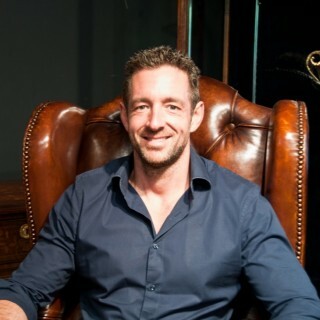 The removable top standing on carved cabriole legs with shell on the knee. 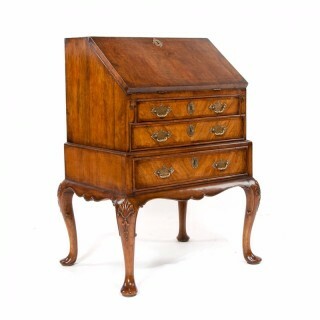 In excellent condition having been gently restored using traditional methods this super quality bureau has a fantastic colour and look being vastly superior to most seen on the market. 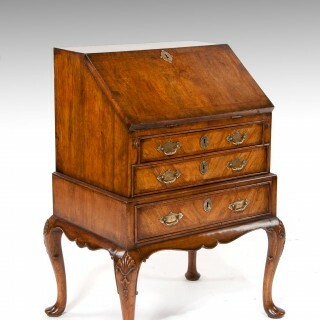 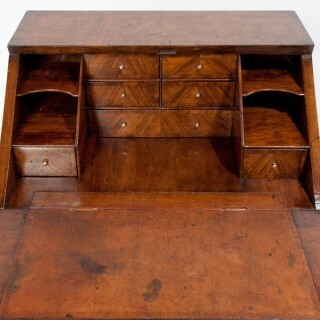 A good sized and lovely quality attractive walnut bureau.